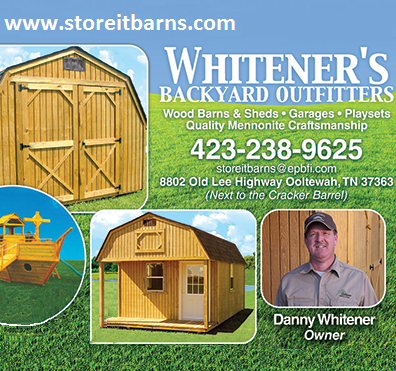 Whitener's Backyard Outfitters - Whitener's Backyard Outfitters: the best storage buildings in the Chattanooga Area. Whitener's Backyard Outfitters © 2014. All Rights Reserved. Store it Barns© is dedicated to building the finest backyard sheds, portable buildings, garages, cabins, utility buildings & playground equipment in the Ooltewah and Hamilton County area. Whitener's Backyard Outfitters © 2014. All Rights Reserved. Whitener's Backyard Outfitters: the best storage buildings in the Chattanooga Area.